A beautiful, radiant and glowing skin is every girl’s dream. It’s easy to achieve it by avoiding sugar as much as possible and by eating products such as olive oil, avocado and macadamia nut oil. Doctor Stefanie Williams shares simple changes to your nutrition intake that will greatly impact your skin, reports femalefirst.co.uk. – Cut out the sugar: The less sugar we eat, the better it is. Many natural sweeteners like honey and agave syrup are high in fructose and should also be avoided as should sugary fruits (tropical fruits are the worst), fruit juice and dried fruit. Artificial sweeteners such as aspartame should be strictly avoided. Not only are they nasty chemical substances, but they have also been connected to obesity and diabetes. – Eat more healthy fat: One of the crucial things our body and our skin needs for long-term health is fat. Studies have shown that eating more fat makes our skin more elastic and less wrinkly. The increase in fat consumption has to be done in conjunction with sugar and grain reduction. Monounsaturated fats such as olive oil, avocado and macadamia nut oil are well-known to be good for us. – Greatly reduce your grain and starch intake: Most people believe that a diet rich in grains is good for health; whole grains in particular are touted as especially healthy. But starches, the carbohydrates in grains, are simply long strings of sugar molecules and eating them will still make our skin and body age prematurely. – Eat lots of vegetables: Vegetables will also provide you with plenty of fibre and antioxidants. However, make sure to cut down on starchy vegetables, as they can have a surprisingly strong effect on our blood sugar level. For example roast parsnips can bring up our blood sugar more than pure table sugar. 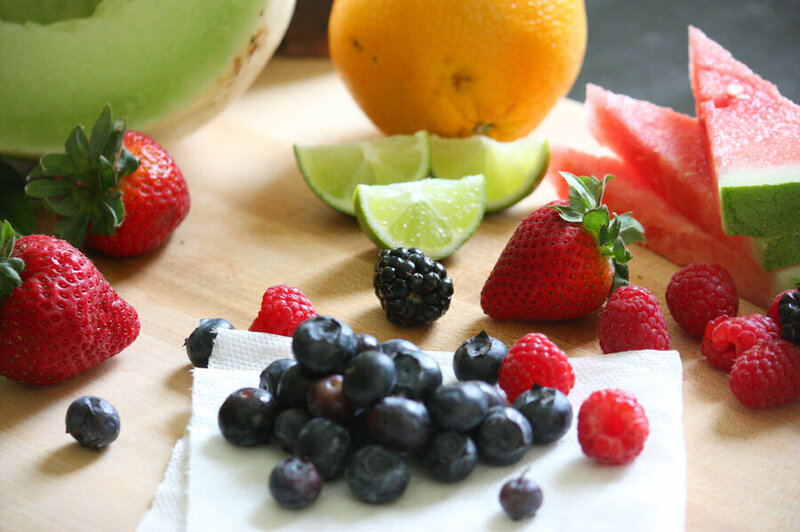 Good fruit options are berries, as they are relatively low in sugar and high in antioxidants. – Don’t forget your daily protein: Protein provides important building blocks for our entire body. However, our body has little capacity to store protein. So, to supply our body and skin with all it needs, we have to provide it with sufficient amounts of protein on a daily basis. – Spice up your life: Herbs and spices including rosemary, garlic, curcumin and cinnamon are a great addition to any skin health and longevity eating plan. Not only do spices greatly add flavour and variety of our food, but they also contain bioactive substances with positive effects on general health, skin and life span.